Hifumi Togou is the Star Confidant in Persona 5. When acquiring the Star Arcana, your ability to flee battles increases. This gives you chances to heal up. 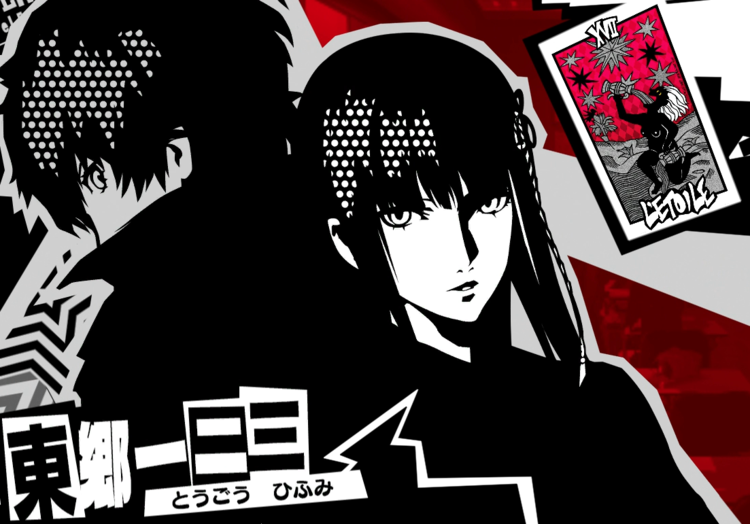 Hifumi’s Confidant relationship can begin as soon as the player has finished Kaneshiro Palace. When you finish the palace, first gather information about a female Shogi player, then go to Kanda Church and talk to her. The protagonist’s Charm will need to be at least level 3 to start the Social Link. Mastering the Star confidant gives you a variety of options to use in battle. Noticeably, the abilities gained from the Star Arcana allow you to retreat faster than normal. 1 Koma Sabaki During the protagonist’s turn, you can swap in a reserve ally with an active party member. Ally must be conscious and not suffering from a status effect. 3 Uchikomi When the protagonist gets a down, a reserve member can follow up with a critical attack. 7 Narikin Earn double money if the battle is one in a single turn after ambushing an enemy. 9 Touryou “Run Away” is available immediately after the battle starts. 10 Togo System Party members can be swapped with reserve members on any party member’s turn. 1 – On 6/25, there’s a conversation about a great Shougi player. After the conversation ends, Kanda unlocks. When you have Rank 3 Charm, head to Kanda to talk to her. 2nd Choice: “They’re cool.”+2 Jimbocho Map is obtained. For 7, both +3 choices according to this only gave +2 (it may come down to luck / I believe in you). I don’t have a corresponding persona but I didnt think thats how this was rated? You must have a corresponding persona to get the higher amount. For 6 ‘Do you still like shogi’ only gave +1 btw! Rank 5 KNOWLEDGE is needed for Rank 8. Pretty sure it’s supposed to be Kaneshiro’s palace not Komoshida’s. Alright, we have changed the name as well as the link. Thank you for the correction!